Visit our Facebook page for up to date information and events. 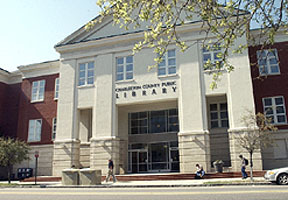 Welcome to the Friends of South Carolina Libraries website. 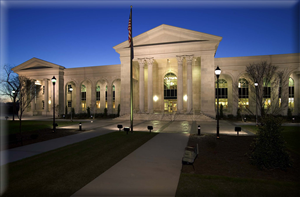 For over 30 years FOSCL has been dedicated to the support and enhancement of libraries through out South Carolina. Here you will find the latest information about FOSCL, its mission and the latest newsletters. You will also find details about Friends Groups, fund raising and advocacy efforts as well as library events across the state. If you are as passionate about the continued vitality of libraries as we are why don't you join us and become a Friend of South Carolina Libraries? 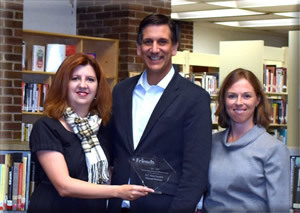 FOSCL President Marlena White (right) and Kershaw County Library Director Amber Conger (left) presents the 2018 Elected Official Award to Senator Vincent Sheheen. 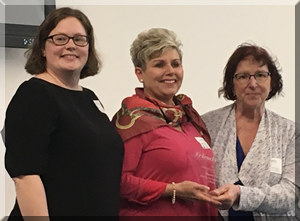 FOSCL Past President Elaine Kjellquist (right) presents the 2018 Outstanding Individual Award to Sharon Purvis with the Friends of the Harvin Clarendon County Library. Proud Library Director Charlotte Johnston (left) looks on.